My iPhone XS Max will arrive sometime tomorrow, along with many thousands of others across the US and the rest of the world. I was ready for this phone as soon as I laid my hands on the iPhone X a year ago, so I’m ready to see how much size matters. That said, this is a good time to look back on what I can honestly say is my favorite smartphone that I’ve owned to this point. Don’t get me wrong. I’m not complaining about my previous iPhones. Each one has been unequivocally better than the one before it, both in terms of hardware and software. However, I’ve never stayed happy with any other iPhone as long as I have with the X. As much as I am happy to be moving on to an even bigger phone with the same design, this is the first time I’ve liked a phone enough one year later that I would be willing to hang onto it longer. Part of the issue with my previous iPhones has been battery life as the one year mark closes in. I am really hard on my phones, with near constant use emailing and staying organized through the work day. This takes a gradual toll, and by the time we get to upgrade day, I can usually tell a big difference that effects overall usability. Before the iPhone 6 Plus I would have to resort to Mophie cases and battery packs to make it through a day. Things were better with the Plus-sized phones, but I could still feel a big difference by the time the next iPhone was on the way. The iPhone X is the first smartphone I have owned that still holds a consistent charge one year later. I haven’t had to think about it or adjust. I haven’t had that same gradual recognition that its harder to make it through a workday on a single charge. I haven’t had to break out my battery pack more often. I’m not having to plug in at my desk to keep it going. The X has been more of a pleasure to use than its predecessors because of this. 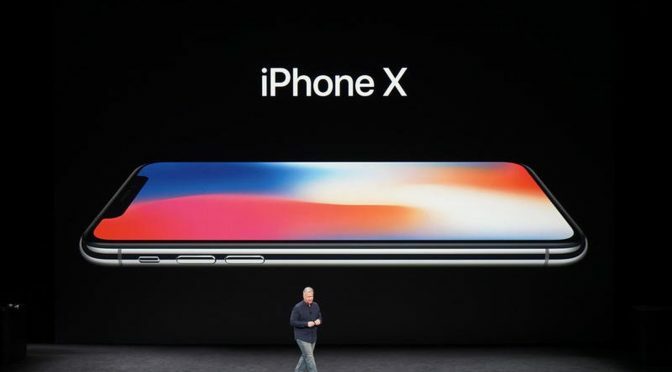 The iPhone X has also been a rock-solid and reliable phone in all other respects. This includes both hardware and software. I’ve rarely had any issues with it. It doesn’t crash. The signal strength is solid. It has been fast since day one, and hasn’t slowed down a bit. It hasn’t chipped, cracked or sustained any noticeable damage. Even running the early betas of iOS 12, the X hardly ever missed a beat. I can’t talk about the iPhone X without touching on the design. I have often felt that iPhone designs feel a little dated after year one, and downright stale by the end of year two. Don’t even get me started on years three and four of the iPhone 6 design. That isn’t the case with the X. The notch is what it is, and like most say, it just sort of blends in and isn’t a problem once you spend a little time with the device. When something so insignificant passes for a “problem,” you know you are looking at a great device. As for the looks, the style, the feel in the hand, and the overall design and construction, they still make the iPhone X feel current and modern one year out. Couple this with the aforementioned still-consistent battery life and the device’s irrepressible speed, and you have a smartphone that would be easy to stick with. Normally, I can’t wait to move on from the iPhone I have to the next one up for reasons both practical and preferential. While I am excited to get my hands on the XS Max tomorrow, it isn’t because of any deficiency with my iPhone X. This is the first time I’ve gotten to the finish line still this happy with an outgoing iPhone. I know one thing- The XS Max had better deliver the goods, because it has some big shoes to fill. The iPhone X has been one heck of a good smartphone. Do you have an iPhone X? If so, what do you think of it today? Still love it, or have there been some bumps in the road? Are you upgrading to an XS or XS Max, or is the X still keeping you satisfied? Let me know what you think in the Comments section below, on Flipboard, our Facebook page, on Twitter, or on our new Instagram account.